Here’s what is in this weeks Prog! 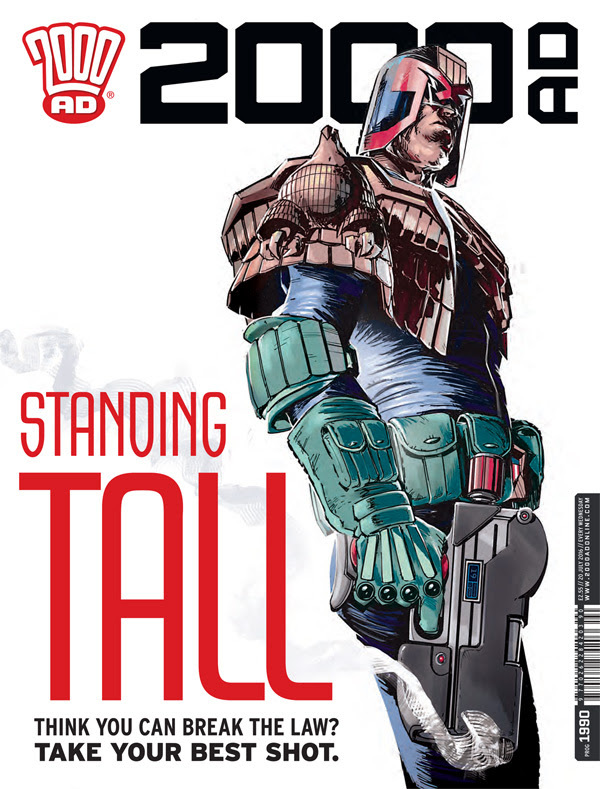 In this edition: Judge Dredd: Reclamation by Michael Carroll, Colin MacNeil, Len O’Grady, and Annie Parkhouse; Brink by Dan Abnett, INJ Culbard, and Simon Bowland; Outlier: Survivor Guilt by TC Eglington, Karl Richardson, and Ellie De Ville; Black Shuck: Sins of the Father by Leah Moore, John Reppion, Steve Yeowell, Chris Blythe, and Ellie De Ville; Scarlet Traces: Cold War by Ian Edginton, D’Israeli, and Annie Parkhouse. Celebrate 10 Years of Alterna Comics!